Nikola Tesla is considered as a man way ahead of time than average people with his inventions, ideas, and creativity. He is recognized as one of the most innovative, at the same time, one of the most mysterious men who ever lived. Present technology is believed to be considerably worse if not for the invention and research done by Tesla in his time. Because of his advanced thinking, some conspiracy theorists stated that there’s more to Tesla and he may have had contact with aliens. 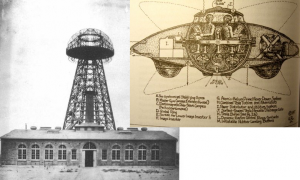 Nikola Tesla’s advanced technologies had made some experts wonder whether his futuristic inventions were the result of his open mind or he did receive messages from advanced extraterrestrial beings. 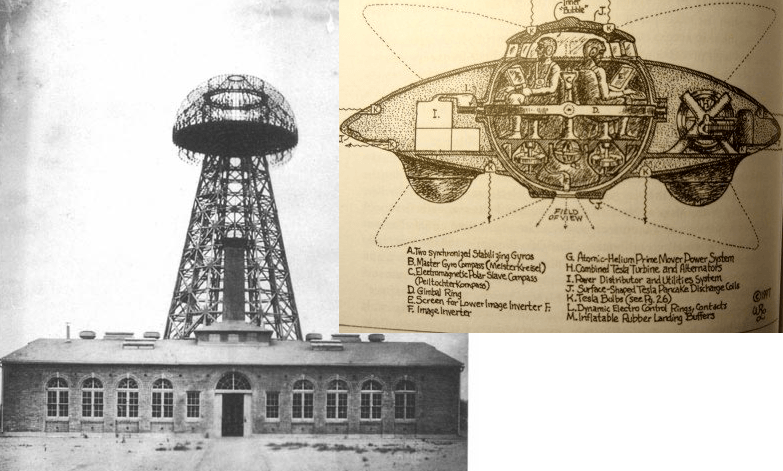 Tesla had invented so many things way ahead of his time, and one of them was the so-called UFO aircraft. In the first decade of the 20th century, over a hundred years ago, Tesla filed a patent request to an oddly designed aircraft, which he named the world’s first flying saucer, the first human-made UFO of the world for that matter. Many people find the layout of the flying saucer interesting as it matched the descriptions by individuals who claimed to have seen UFOs from the inside. The human-made UFO had a discoidal capacitor with enough size to give thrust to fly. There were other small capacitors designed to control the direction of the flying saucer. The UFO-like invention also featured a gyroscopic stabilization system and electric-powered drive control. Tesla was all about futuristic designs, and his flying saucer was top of the line. The inside of the craft was installed with flat screens and external video cameras for the blind spots of the pilot. Tesla’s UFO had eyes in all spots, thanks to the electro-optical lenses that were arranged in quadrants, enabling the pilot to see everything. Tesla’s aircraft did not include an energy source of its own as free energy powers it. The aircraft’s power came from the towers of wireless transmission. This article (What You Should Know About The First Man-Made UFO) was originally published on Latest UFO Sightings and syndicated by The Event Chronicle.